Heather Binns is a nationally acclaimed fitness expert, wellness educator, certified personal trainer/coach and best-selling author. She loves fitness and has a passion for high-energy and personal fulfillment, and has spent most of her life devoted to helping others achieve their fitness goals. 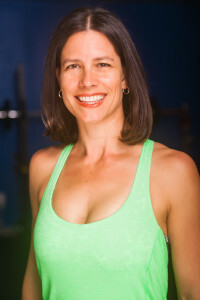 Heather was voted one of the top five personal trainers in Los Angeles for three years in a row and is one of America’s PremierExperts®, a designation given in recognition of her outstanding personal accomplishments and expert knowledge in fitness. Heather has officially been in the fitness industry since 2006 and has trained and obtained her certifications in the following: Certified Personal Trainer (CPT), Kettlebells, TRX Suspension Training, Adult/Child/Infant CPR, Functional Movement Screens (FMS) Level 2, Special Populations, Power Plate, K Training (Kinesis), SilverSneakers and ViPR (Vitality, Performance, Reconditioning). In additon, Heather is a Level 3 SymmetryTM Professional Practitioner correcting postural distortions in her clients and a Spartan SGX-Certified Coach/Obstacle Course Specialist training those who want to complete the infamous Spartan races. In the course of her career, Heather has trained at some of the top big box gyms in America – Equinox, Sports Club/LA and 24 Hour Fitness. Published in 2012, Heather’s best-selling book Results Fitness, was written by a team of celebrity fitness experts to bring the public “maximum results and the bodies they want” using their collective knowledge, experience, and proven methods. The book offers “a wealth of amazing, effective, clinically-proven advice” and has consistently sold well since released. She continues to write and often is quoted for a variety of blogs, magazines, and other print media, sharing her expertise with as broad an audience as possible. Additionally, Heather has enjoyed great successes training men and women of all ages to reach their fitness goals, even leading some to national competitions. Heather’s strong desire to help others get in shape and stay fit inspires her to proactively train people from all walks of life. Some of her clients include Disney, Nike, The Leukemia & Lymphoma Society, Nestle, The American Heart Association and Active.com. Heather’s passion for running also helps her coach others to cross that finish line – whether it be for a 5K, 10K, half marathon, marathon, triathlon, adventure race or obstacle course. Apart from her commitment to Renov8 FitnessTM and her own personal health, Heather is now and has always been very active in the broader fitness community as a both a wellness educator and advocate. An avid speaker and presenter, Heather delivers educational seminars and talks for organizations such as the Los Angeles County Sherriff’s Department, Kaiser Permanente, Maxim Health Systems, Anthem Blue Cross Blue Shield, the Los Angeles County employees and Business Health Services. Further, Heather also was a Personal Fitness Trainer (PFT) Instructor and Program Director at the Southern California Health Institute (SOCHi). She educated others on how to become personal fitness trainers and helped re-develop their entire Personal Fitness Training program for success. An expert in her field, Heather also acts as a “Master” for Fabletics®, Kate Hudson’s fitness apparel company for women. As a Fabletics® Master and Elite Professional, Heather embodies the Fabletics® lifestyle and provides inspiration and guidance to their community of members nationwide. Heather was also honored with becoming a spokesperson and sponsored athlete for the electrolyte supplement, ReplaceSRTM, provided by Endurance Products Company (EPC), an exclusive marketing affiliate of Innovite, Inc. All-in-all, a committed wife, mother, grandmother, fitness enthusiast, coach, teacher, author and leader, Heather brings passion to everything she does and inspires her clients and many others to be their absolute best. Learn more about Renov8 Fitness at renov8.fitness. Visit Heather’s personal site at heathercpt.com.